At the recently concluded SEMA 2014 show, Award-winning coachbuilder Classic Recreations launched its new CR Supercars division and unveiled its 1968 Ford Mustang Villain. 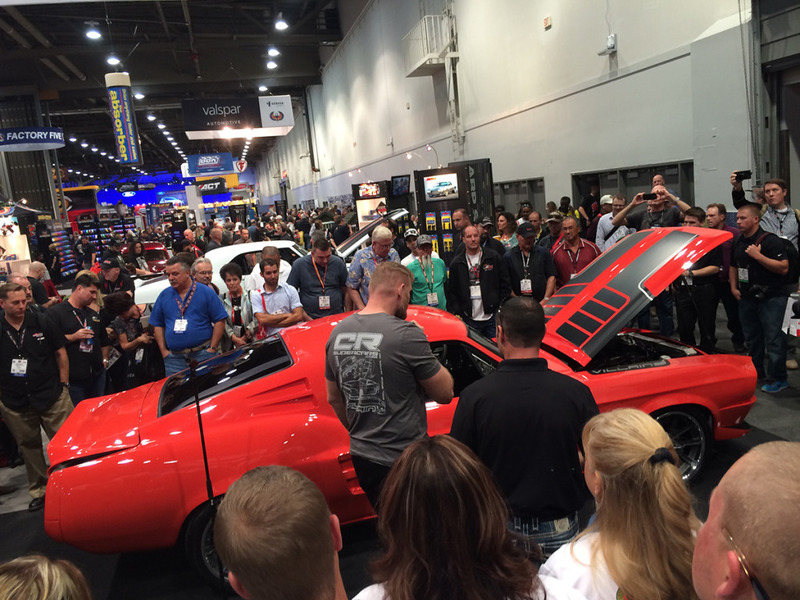 The car was built in collaboration with Centerforce Clutches and was certainly one of the most jaw-dropping modified Mustangs from SEMA! The 1968 Mustang Villain started life as a regular Mustang Fastback but was soon stripped back to its bare shell by CR Supercars. It was then fitted with newly styled body panels made from composites and crafted using the latest 3D mold-making technology. The new panels don’t only add a special visual flair to the Mustang Villain but also improve aerodynamics and reduce weight. Beneath the skin, the 1968 Mustang Villain from CR Supercars is powered by a 5.0-litre Coyote V8 engine from Ford Racing which delivers 420 hp. It has then been mated to a six-speed T-56 Magnum manual transmission with a multi-disc clutch from Centerforce. Further changes include the fitment of fully adjustable JRI coilovers / Detroit Speed suspension, Wilwood six-piston and 14-inch brakes at all four corners as well as 18-inch wheels from Forgeline. Copyright © 2013 - CRSupercars - All rights reserved.